After-hours emergency services are available on a limited basis. We are 1.2 miles past Glenrock High School on the right. Take exit 160 (East Glenrock). Continue on U.S. Highway 87-26-20 for 2.6 miles. The easiest and fastest way to get to us is to take exit 160 (East Glenrock). Take a left under the interstate and continue 2.4 miles on U.S. Highway 87-26-20. Take U.S. Highway 20-26 east for 24.9 miles (through Glenrock). 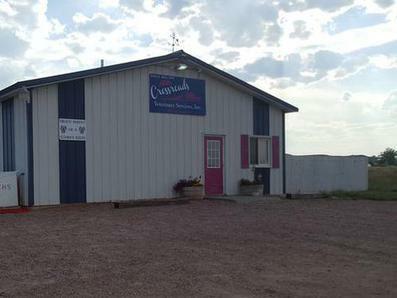 We are located at 1370 U.S. Highway 87-26-20 in Glenrock.